Combine nature's light show with the trip of a lifetime. Come and see the Orcas and Humpback Whales feeding on herring! Witnessing the aurora borealis is an unforgettable experience. 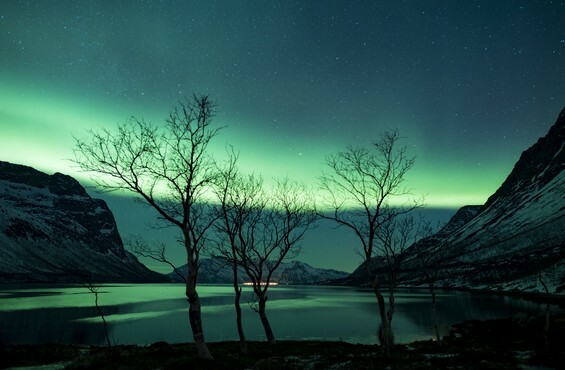 Visit Northern Norway and combine nature's light show with the trip of a lifetime. Come and see the Orcas and Humpback Whales feeding on herring! Norway is known for nature attractions like fjords, mountains plunging into the sea from hundreds of metres, fjords, tall mountain peaks, northern lights and midnight sun. Norway is easily accessible by plane from most European countries. 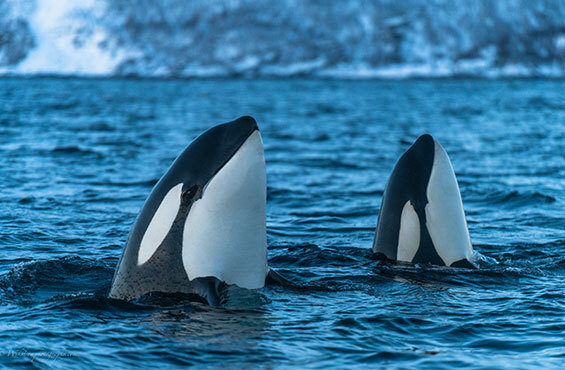 We visit Norway to follow the Orcas and Humpbacks into the fjords feeding on large schools of herring. A yearly wildlife spectacle from November till February. Like tulle curtains caught by the breeze, like rolling smoke or like ribbons across the sky, in an unearthly, electric green, often with hints of pink and violet; The aurora borealis are faint, translucent and illusive.